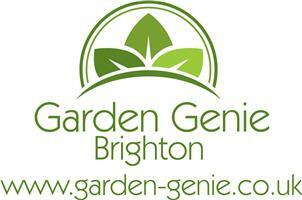 Garden Genie Brighton - Fencing/Gates, Garden Services based in Hove, East Sussex. My name is Ryan and I am a self employed gardener with over ten years' experience as a contract gardener with local authorities and private sector organisations across London. I am fully insured and qualified in City and Guilds practical horticulture. As well as all aspects of garden maintenance, from hedge trimming, lawn care, and weeding/pruning, I also offer an extensive knowledge of plants and their habitats. I can assist in planning new planting schemes or improving mature borders, I can also improve the conditions of a garden in order to host plants that have previously failed to flourish. Therefore, whether you are in need of a garden tidy or clearance, you need a new lawn, would like to repair a damaged fence or wall and restore a grubby patio to its former glory, or you need fresh ideas and a planting revolution, I possess the practical skills and knowledge in order to help your garden reach its full potential.